There are many things that a bride wants to do on her wedding day, and experiences she wants to give herself and others. She may wish to wear her mother’s veil, or walk down the aisle to a traditional song from her country, for example. Something else she may wish to do is honor her heritage. Perhaps she is still in her country of origin, or marrying or living abroad. Either way, inserting a piece of where she came from can be one of the most important facets of her day. If this applies to you, then you’re in the right place! 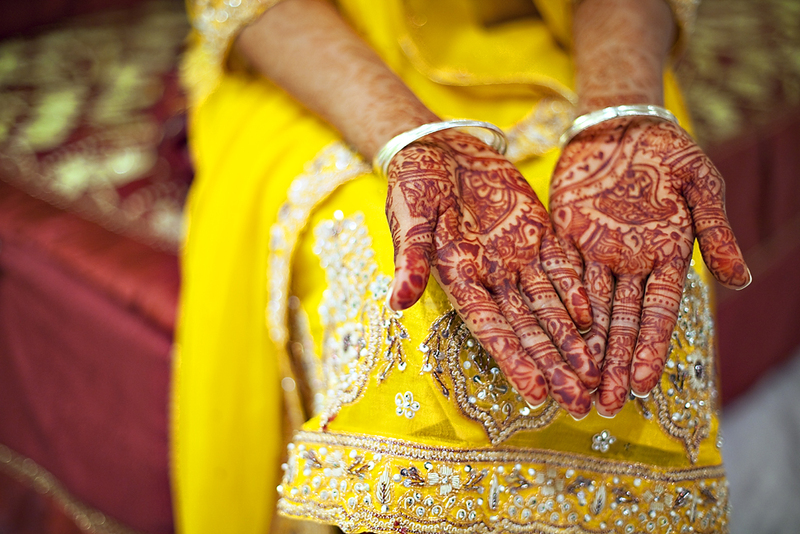 Read on for three different ways that you can honor your heritage on your special day. Plus, one more fun suggestion for all couples, no matter their heritage! A big white wedding dress or a slim fitting cream wedding dress might be what you fancy. But how about dressing in traditional wedding garb from your country of origin? Bold red and delicately embroidered, Chinese Wedding Dresses are ornate and beautiful. Pakistani wedding dresses are also red, though different in appearance of course. If you want both a traditional dress and a modern, Western dress, have both! Just get changed halfway through the day. You could wear your traditional dress for the reception, and then a traditional Western dress for the evening reception and party! "If music be the food of love, play on," wrote Shakespeare. You can hire a DJ who specializes in this kind of music. So, an Indian bride may want some traditional Bhangra music to be played at the evening reception! This is sure to please guests, especially traditional ones, and get everyone up and dancing. Alternatively, as with many parts of a wedding, you can DIY the music! What you need to do is make a playlist that you can download. You don’t want to be worrying about the connection to the internet, or it potentially cutting out at any minute! Also, be sure to download a tool that will allow each song to blend together, without awkward gaps or pauses. Just be sure you line up enough music to last the entire event. Is there an old wedding tradition from your country of origin that you love the sound of? Then find a place for it in your ceremony or reception. If you are French, then tradition dictates that you enjoy champagne and chocolates after your reception! Chinese brides could be carried from their own home to the Groom’s home in a sedan chair! Do some research into traditions applicable to you and your family, and pick your favorites! Finally, here is a fun idea to honor the place where all of your guests have traveled from, or come from. Make a sign that points in multiple directions, with each post labeled with a different country! It also makes a great prop for pictures. You could even put the distance of each from your wedding venue on the post too! The space is spectacular and this venue is just what we needed for our event. It is the best place to have an event and we had an awesome experience here. The staff of venue Houston is excellent; they are so attentive to all of your needs.